I’d always fancied the idea of going to Luxembourg mainly because it sounds so foreign and also because well, Luxembourg is the capital of Luxembourg and it used to make me laugh a lot as a kid. So when one of my favourite bands decided to play a tiny venue there, and BA had a sale, it made perfect sense to go. Apart from the fact that I got there, The Killers cancelled, and three months later here I am in Luxembourg AGAIN finally seeing the Las Vegas group. And yes, they turned up this time. So following two trips to the capital in four months, I thought i’d share with you my favourite spots. 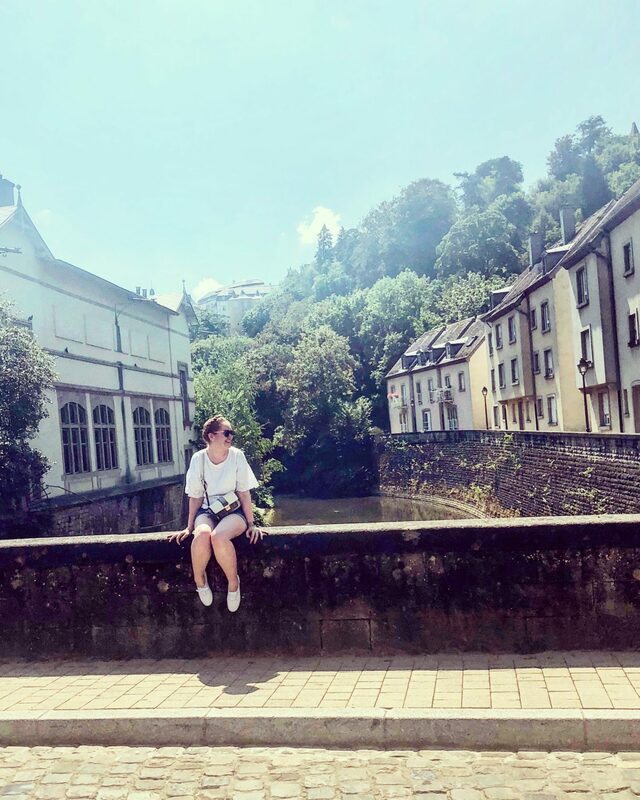 I tended to find that Luxembourg was one of those places that you could explore just by walking around and seeing what you could find. The city is divided into pretty much layers which means there’s lots of exploring to do. The river runs right through the city and has some stunning houses alongside. There are also some beautiful cobbled streets too. You can walk right alongside the river and follow it through the city. It’s one of the largest landmarks in the city and certainly stands out. I would definitely recommend heading to the lookout to give you a good unspoiled view of the city. Not one for the feint hearted as the floor is glass! It’s the city’s top shopping spot and has some great stores here as well as good eateries. 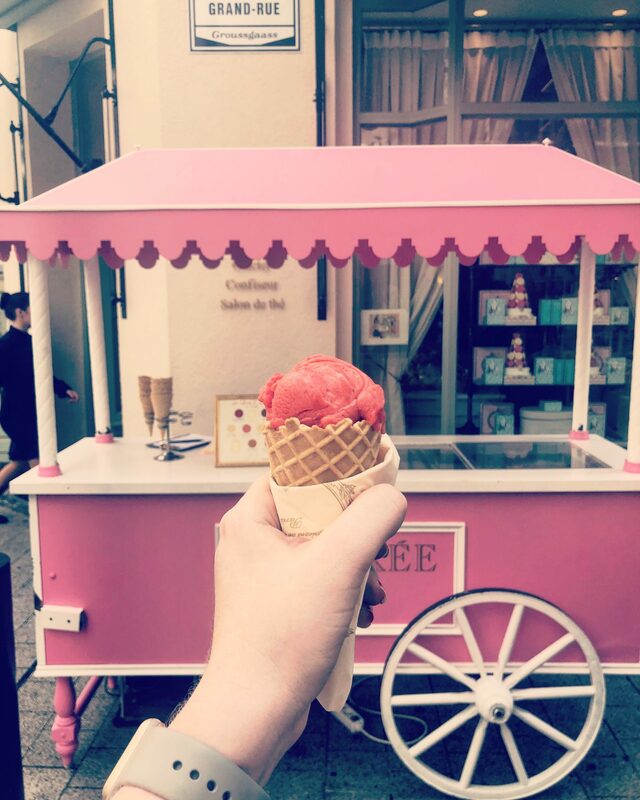 During my trip in summer, I had the loveliest sorbet from Laudree. There is also a fantastic local chocolate shop there too. Still home to the Duchy of Luxemboug, I somehow ended up outside when a load of foreign ambassadors were arriving. It’s a bit of a novelty to be able to stand right outside the palace that doesn’t even have any fences in front of it. And it’s right in the middle of the city centre too! In the summer months you can actually go inside it for a tour. Luxembourg has some great self guided walking tours and this one is good for people who often find themselves lost like me. I mean, it goes in a circle! 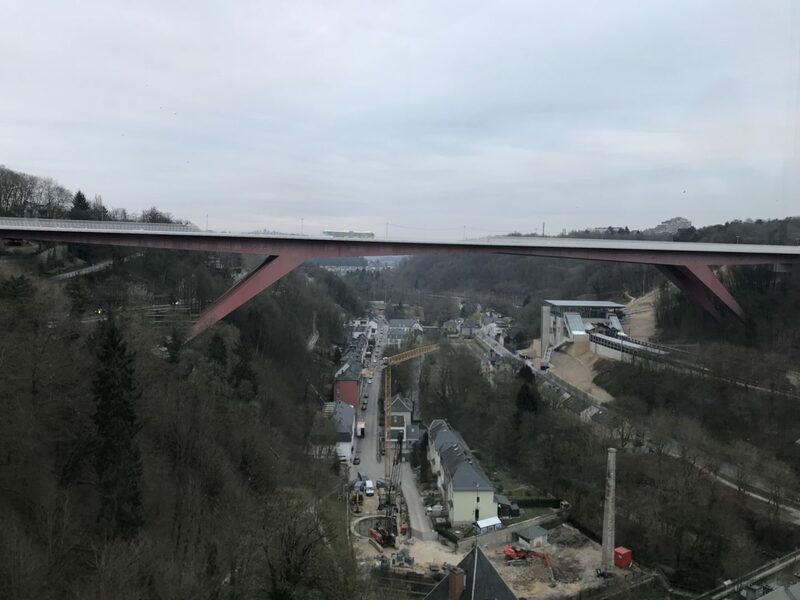 You also get to see both the old and new side to Luxembourg as well as medieval forts. Definitely worth a visit, it’s easy to forget that the Second World War wasn’t that long ago. 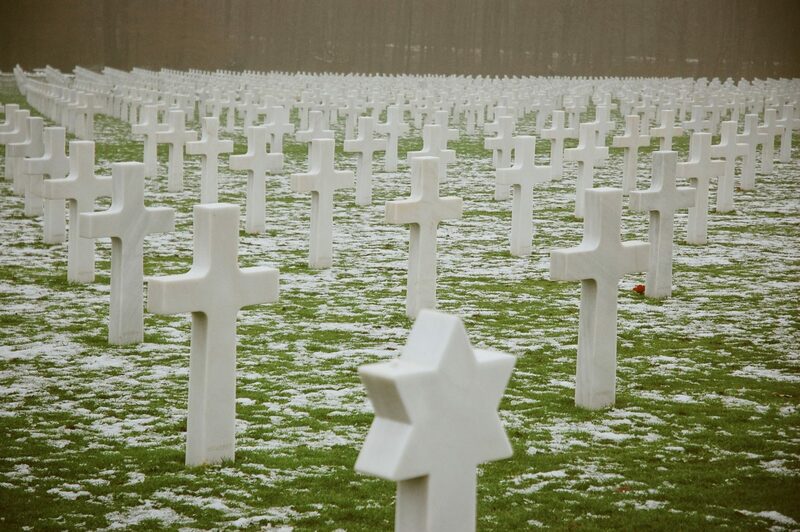 It was good to visit the cemetery and see how Luxembourg was affected by the conflict. The cemetery also has books and displays filled with information on some of the troops that are buried there. We went following a snow storm and were the only ones there making it rather an emotional visit. It’s very easy to think about it happening and resign it to history but seeing names and ages and thinking of their families made it very hard hitting. 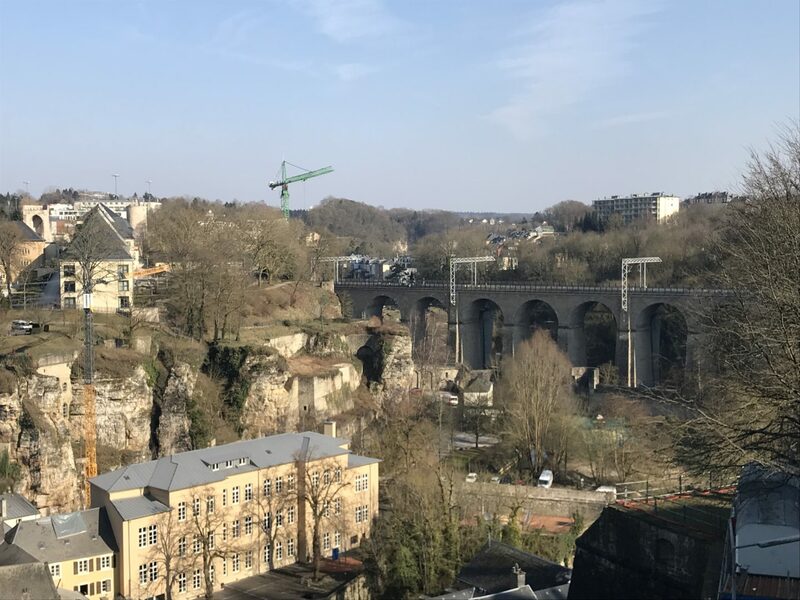 Luxembourg is a fantastic city and I would thoroughly recommend a trip. Keep an eye on the New Year sales and you’ll be able to pick up a bargain. I bought my flights and hotel at the Doubletree in Luxembourg on British Airways for under £180. Bargain! And no, I would not recommend flying Ryanair. Even if they do have a sale. "Seeing Stonehenge and Bath in a day"